In addition to the return of Events and image zooming, the ability to hide low-quality comments is also coming to Google+. There’s been a lot of pushback against the new Google+ interface, and rightly so considering some of the key features that have been missing from the classic G+ interface. 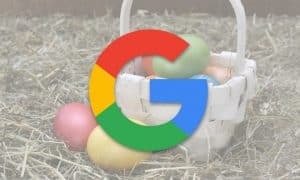 Over the past year or so, Google has been slowly bringing some of these features back and have announced that Events and image zooming will be rolling out to the new Google+ interface in the coming weeks. The timing couldn’t be better as the company also announced that the classic G+ interface will be inaccessible starting on January 24th. One of the key features missing from the new interface, that I personally thought was a huge oversight, is Events. While the ability to create and join events on the Google+ web interface is returning, it will not be available for G Suite ([email protected]) users when it starts rolling out. While it’s nice to see Events returning, why Google would exclude the business community from using it as well is beyond me. 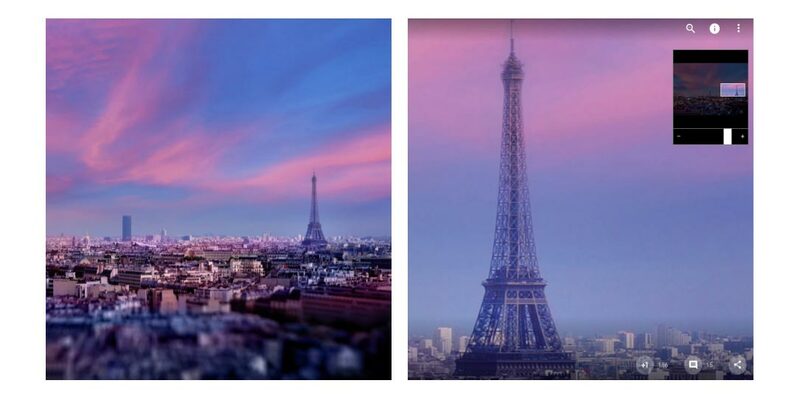 Another feature that I rather liked on the classic G+ interface was the ability to zoom in on photos. As part of the next Google+ update, the interface will be adjusted to show less white space and more posts, as well as sees the return of being able to zoom in on larger images that frequently get shared to Google+. Given the amount of comment spam that some users — myself included — are experiencing on G+ as of late, the next new feature is one that will be most welcome. While Google+ does a decent job of flagging spam comments, there are still many “why am I getting this?” and “stop sending me this!” type comments. We still haven’t figured out exactly where these comments originate from but suspect it’s due to some cross sharing that Google might be doing across other properties like YouTube. In the next update, Google will be hiding low-quality comments on posts — hopefully these types of comments are included in that list. You can always choose to see all comments on a post by clicking the menu and “See all comments” option on that particular post. 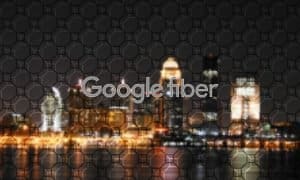 Google+ hiding low-quality comments example. 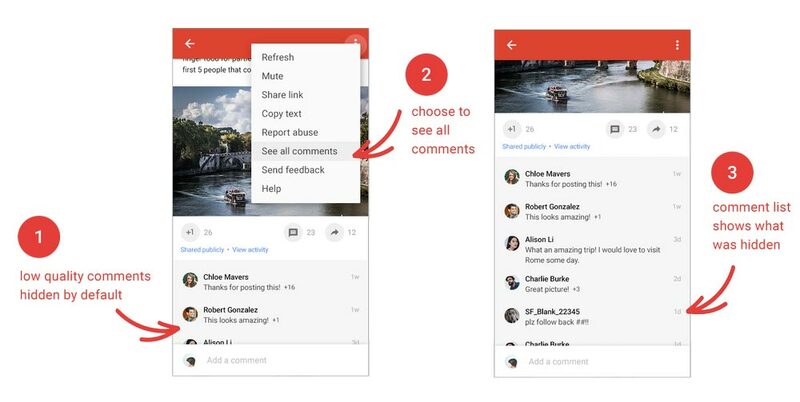 What do you think about the returning and new features to Google+? Are you sad to see the classic G+ finally being retired? Let us know in the comments below or on Google+, Twitter, or Facebook.